This Trailer is new demo show trailer. It is a beautiful trailer that is equipped with every thing you need to travel, go to the rodeo or RV park. It has 19.5" Alum Wheels, elec/hyd disc brakes, Dual Hydraulic Jacks and even has an electric power cord reel. It has an outside hamper access door and huge bathroom with a sit down solid surface shower. 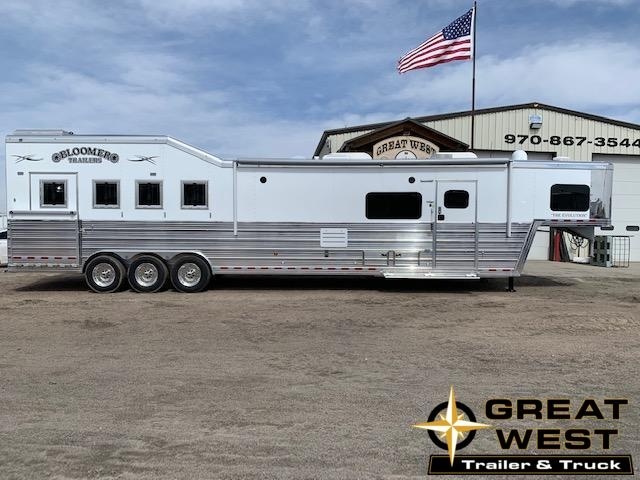 This trailer is a bargain compared to a new trailer price and it is still new. Don't miss out on it.